2854 NE 29th Street is a simplistic water front home located in Coral Ridge in Fort Lauderdale. This home features high ceilings, modern design with organic details such as the large wooden front door. The open floor plan on the first floor allows for plenty of natural light and makes entertaining a breeze. The kitchen has a large breakfast bar and is open to the living and dining area, which is fitted with a wet bar and large wine cooler. Each contemporary bathroom has a glass shower and unique vanities. 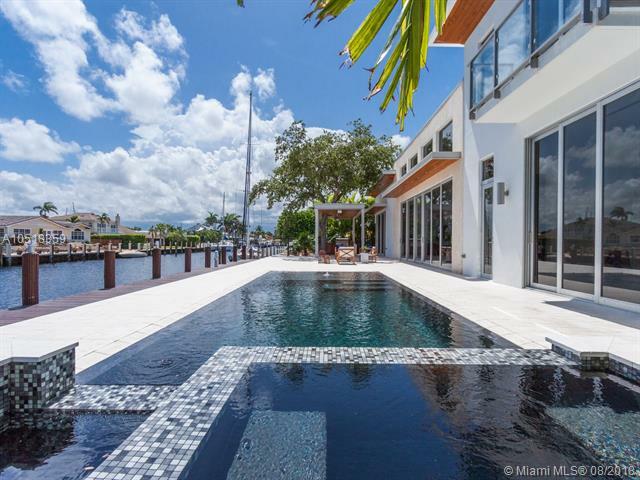 An infinity pool and spa are the main attraction, which overlook the intracoastal waterway. Speak with a Better Homes and Gardens Real Estate agent today to see this and other homes in South Florida!